Application that provides insights in the estimated characteristics of the county populations and its change over time. The application uses the Census Bureau’s API to retrieve the data from the Census Bureau population estimates. The State Demographer’s Office develops the official population estimates and projections for the State of Arizona. It collects and reviews data (sometimes called symptomatic indicators of population change) and conducts research to improve the accuracy of the demographic models used in estimates and projections. 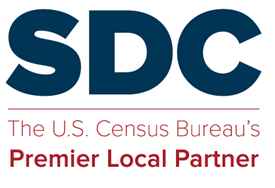 The State Demographer’s Office works collaboratively with the U.S. Bureau of the Census to facilitate the use of demographic information in Arizona. The State Data Center program coordinates an Arizona network of U.S. Census Bureau data users, provides training and technical assistance to them, and provides a mechanism for feedback to the Census Bureau.